Woodley Town F.C. can trace its roots back to 1904, while it is thought a team existed in Woodley in the nineteenth century. One of earliest successes for the club was in 1909/10 season when they won the "double' of Champions of the Wargrave & District League and Cup Winners. This was followed in 1923 - 24 when they became the first team outside of the Borough of Reading to win the Reading Junior Cup with a 1 - 0 win over Shinfield at Elm Park. History would repeat itself in 1998 - 99 when Shinfield were again defeated, this time 2 - 1 to win the Reading Challenge Junior Cup. The club were the last team to win the Wargrave and District League was also in 1926 - 27 before moving to the Reading & District League where they finished bottom of Division Two in 1927 - 28. Success in the Reading & District League was limited with most success enjoyed in the fifties culminating in the club being Champions of the Premier Division in 1957 - 58 and 1958 - 59. Woodley became only the third team in the League's history to successfully defend the Premier Division title. It would be nearly thirty years before the Premier title or any trophy, would be won again in 1985 - 86. The club then went into a period of decline. 1990 - 91 season saw the Saturday First Team start the season in the Premier Division of Reading Football League while the Reserves where in Division 4 Kennet. However, an exodus of players saw the First Team fold mid season leaving just the Division 4 team in operation. Season 1993 - 94 once again saw the introduction of a Reserve Team, which was promoted to Division 1 Thames of the Reading Football League for season 2001 -02 the highest division this team has competed in. Currently enjoying a period of success, the Saturday First team followed up the Reading Evening Post Junior Cup victory with the Berks & Bucks Junior Cup in 2000 and promotion to the Reading Football League Premier Division in 2001 where the team finished in the runners up position. The club also ran a Sunday section during seasons 1980 - 81 - 2001 - 02, firstly in the Reading & District Sunday League and then the Bracknell Town and District Sunday League. During this time the Berks & Bucks FA Sunday Junior Cup was won in 1984 and the Berks & Bucks FA Junior Trophy in 1995. A Veterans team was also entered into the Umbro National over 35's competition during seasons 1992/93 - 1999/2000. The team's best season was 1998/99 when they were losing semi finalists. 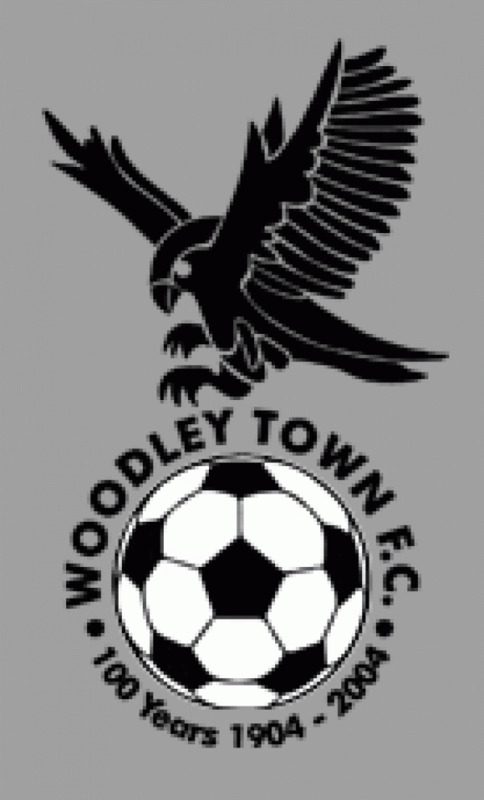 Season 2002 - 03 saw the club decide to focus it's football solely on Saturday football and the newly created youth section known as Woodley Town Kestrels which have gone on to enjoy considerable success in League, Cup and small a side tournaments they enter. The most notable success is winning the Berks & Bucks Minor u13 cup in 2007 - 08. Season 2007 - 08 saw the Men's section enjoy cup success when the "A" team won the Reading Challenge Jubilee Cup for the club's second time and this was followed in 2008 - 09 with the Men's section enjoying it's best ever season culminating in a remarkable four cup final appearances and the First team winning the Reading Football League Double of the Senior Division and BTC Senior Cup, the latter being played at Madejski Stadium, Reading. 2008 - 09 also saw the club awarded the FA's Chartered Standard Development kite mark. In gaining promotion to the Hellenic League Division One East, the club was playing at the highest level any team from Woodley had competed at and finished its debut season of 2009 - 10 in a very creditable fourth position. The season also saw the Reserve team gain promotion to the Premier Division of Reading Football League. The club continued to enjoy success in 2010 - 11 season with the "A" team finishing runners up in Reading Football League Division Two and the "B" team champions of Division Four.